No final decision has been made on the future of the existing entrance, but for right now the management team at the zoo will be putting up temporary steel braces to ensure that the buildings are safe for visitors to walk beneath. There are a lot of people in favor of having these buildings listed as historical sites in both national and regional registers, which would make perfect sense considering the iconic entrance is now part of local history. Let’s just hope that if they have to completely replace the entrance that it honors the original design in some way – we love the way it looks right now. While the fate of the entrance is being decided you can still visit the zoo to enjoy everything on offer here, especially during the glorious summer months ahead. Here are just some of the activities you can look forward to. 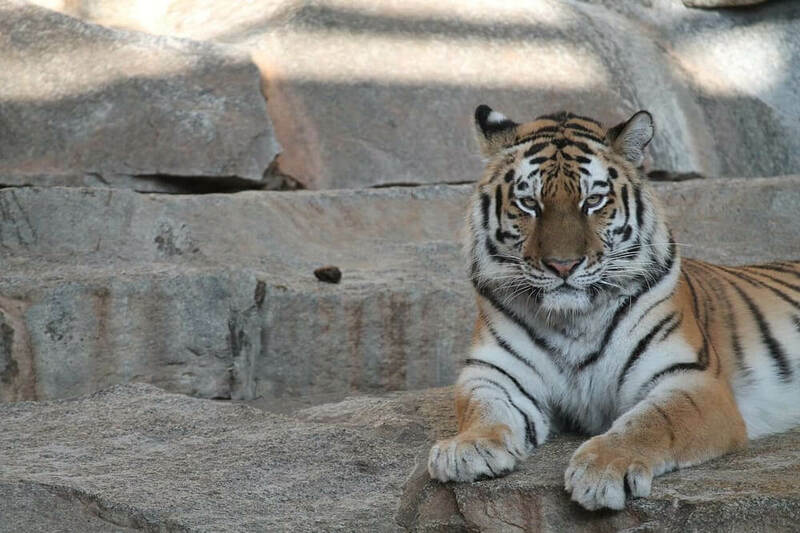 If you want your kids to learn about the wilderness, but without having to trek into the middle of nowhere, then you’ll enjoy the “Nature Explorers” days held at the zoo on the last Saturday of each month. They’ll learn about a different subject during each visit, with the topic for July 30th being ‘Weather’. This is a great day out for kids, because there’s lots of stories and playtime included too, so it’s not hard to convince kids to take part. These evenings are as popular now as they ever have been, giving you and your kids the opportunity to sleep within feet of the animal enclosures. You’ll also get to see how the animals behave at night, especially the nocturnal ones! You can experience the sights, smells and sounds of an expensive overseas safari, but within driving distance of your home. Another safari? Well, yes, but this one is all about copious amounts of Baskin-Robbins Ice Cream, all part of the annual Ice Cream Safari at Sacramento Zoo. There’s free face painting for kids, and lots of prizes on offer, and that’s outside of all the ice cream you can physically eat! Tickets for the Ice Cream Safari cost just $13 for kids and $17 for adults if they’re booked before August 14th. The above events are outside of all the day-to-day activities which take place here, so there’s always a reason for you to book some tickets for your family, or friends, to visit the Sacramento Zoo. There’s also the added bonus that you won’t have to queue for hours here to visit the different attractions, unlike many of the zoos you’ve been to in the past.